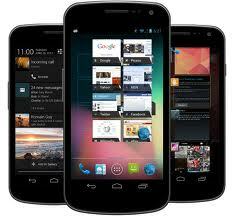 The HTC One X has just one thing sorely missing in it – that is, the ANDROID 4.1 JELLY BEAN OS VERSION. As we had discussed over the same topic before that the One X will positively receive an update by October. Here comes the LEAKED CD ROM OF THE JELLY BEAN UPDATE for the One X. Recognized XDA contributor Football posted the Leaked CD Rom 3 days back claiming that this is actually a leaked software package based on the shipping software of the soon to be released One X+. Unluckily , the maXimus v4.1 ROM with Android 4.1.1 and HTC Sense 4+ can only be loaded on certain versions of the international model of the One X. There are plenty of dangers in installing this leaked update on your device as it is not sure on whether the users would receive the OTA Updates if the device is rooted. But when you turn around to the positive side, most of the testers claimed that the leaked upgrade does seem to be like the OFFICIAL one as it does turn the device BLAZING FAST. Now its all upon the One X users to decide whether to wait for the OFFICIAL UPDATE or take all the risks by installing the leaked update...??? 0 Respones to "Android 4.1 Jelly Bean leaks for international HTC One X"